Adrienne,thanks for leaving a comment. I am so glad you liked them. We love them too. Last month I made some for us for my neices birthday party. My sister did an amazing job decorating them. She handed one of these and one of the regular gluten mix ones to a friend of hers for a taste test. He had never had any thing GF before and he didn't know which was which and to my great happiness he chose these ones as his favorite. Now that is a true taste test, don't you think? Happy Birthday to your daughter! 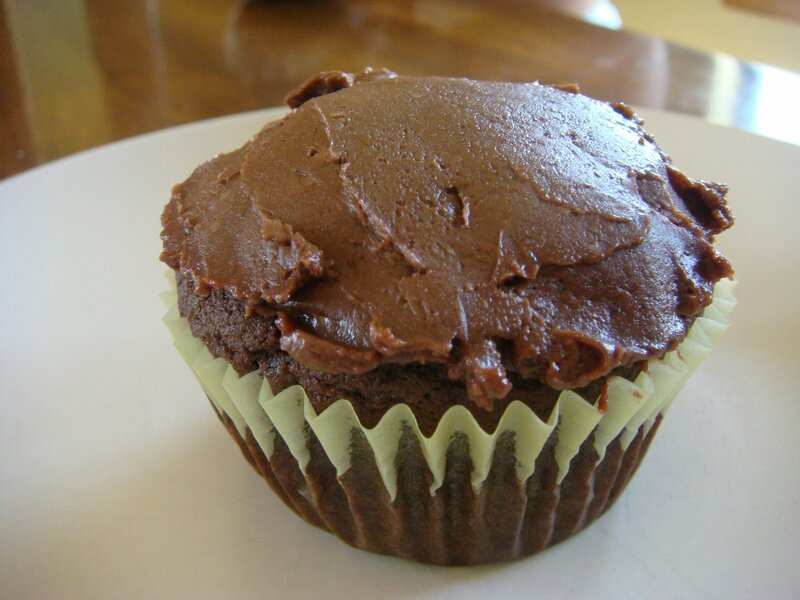 Just found your recipe via pintrest……any idea on net carbs in one cupcake?? I’m sorry, I don’t. I’ve never worked it out. If you are up for it you could enter it into nutritiondata.com. I’m sorry I just don’t have time right now. Hi Kim – do you think rather than cupcakes that this recipe could be used for a whole cake (i.e loaf tin or 20cm round cake tin)? If I were to take a guess I’d say no. I’ve never done it so let me know if you try. I’d lower the temp to 325 and cooking time…when it’s done. 🙂 My guess is that it will over cook on the edges and fall in the middle. Just a guess tho. Just whipped these up and they were great – but took closer to 20 minutes in the oven and they still fell a little. Next time I’ll try 22 minutes. I made these today and loved them! 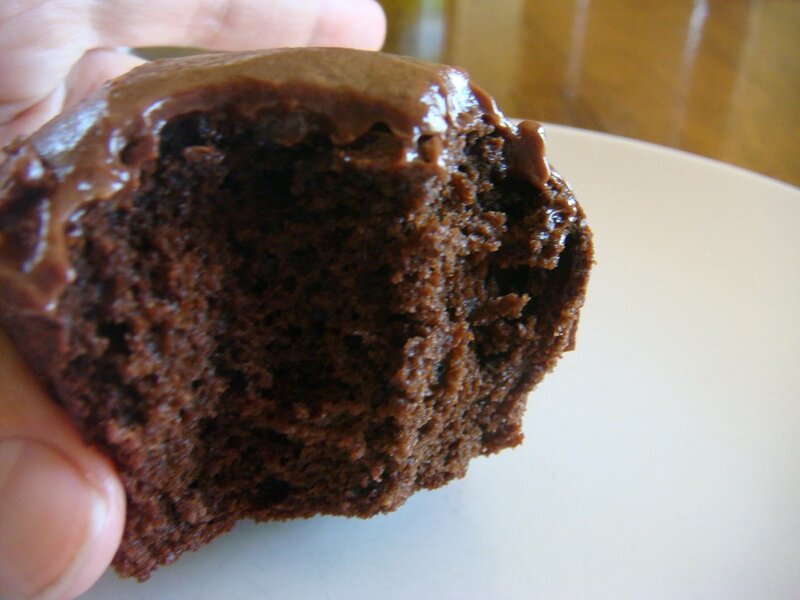 So yummy, even without icing. Yay! That’s great. It’s so nice to have an occasional treat that doesn’t derail your diet entirely. 😊 Thanks for taking the time to leave me feedback.